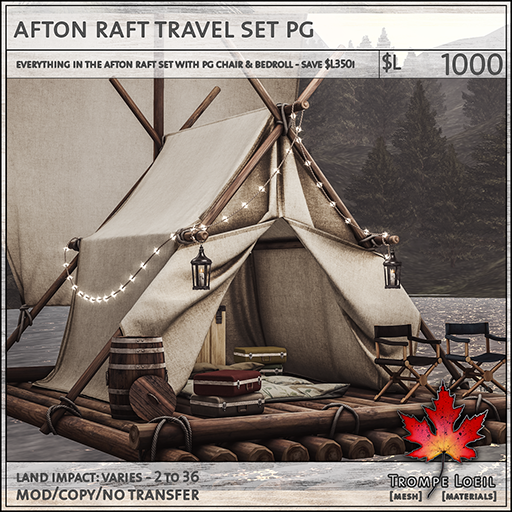 Don’t let the end of summer get you down – you can fit in a last-minute vacation this weekend, with our new Afton Raft Travel Set! 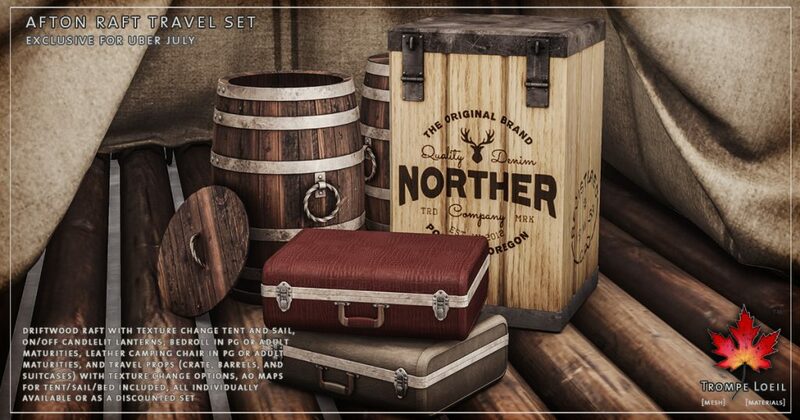 Originally for Uber’s July round, its at our Mainstore now – and August 27 & 28 only, its 50% off! 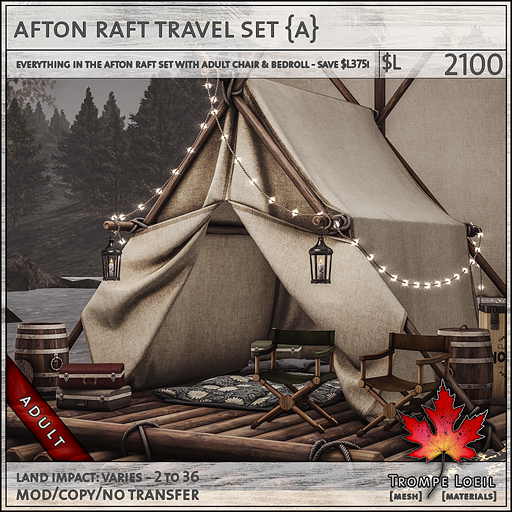 For camping, a unique retreat, or the most rustic of houseboats, the Afton Raft Travel Set evokes the summertime nostalgia of a carefree river adventure! 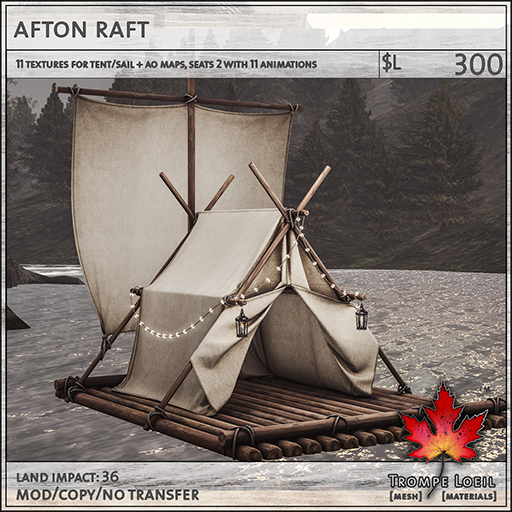 The Afton Raft is animated to seat 2, with 11 PG animations to dangle your toes in the water. 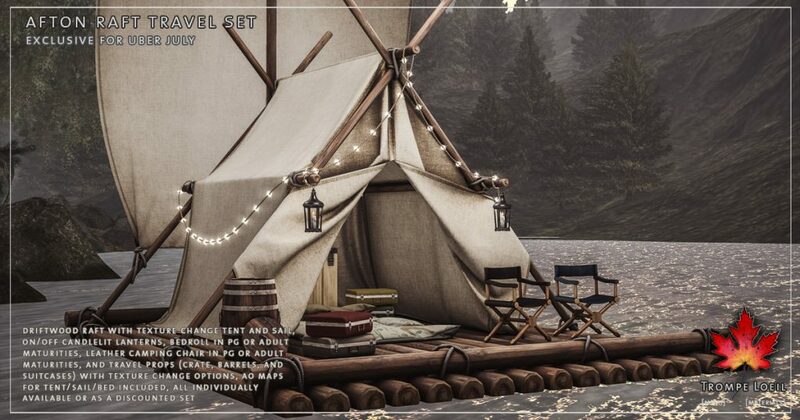 We include 11 textures for tent and sail, plus AO maps so you can create your own unique look! 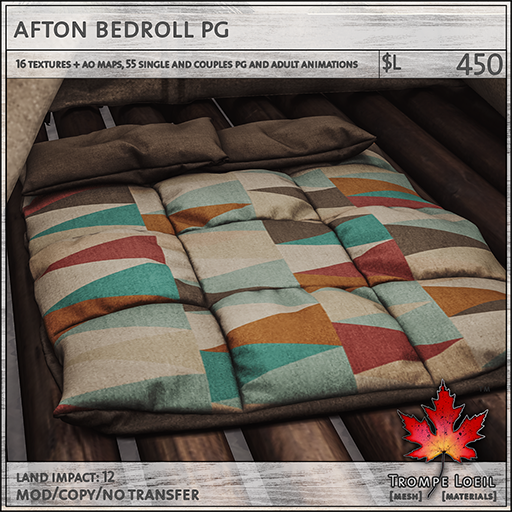 The Afton Bedroll comes in your choice of maturities, with 16 texture options plus AO Maps for even more customization. 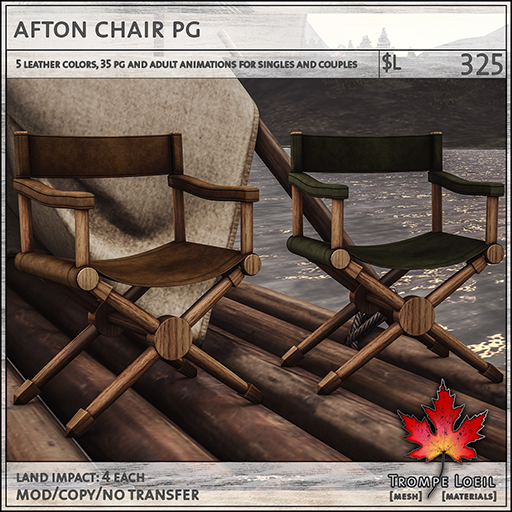 The Afton Chair includes 5 leather colors and your choice of maturities for singles and couples. 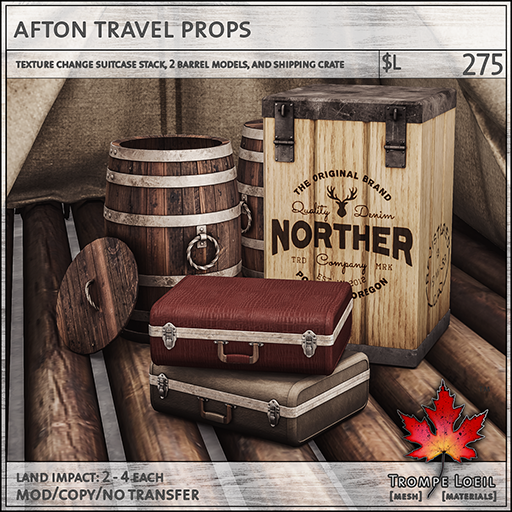 Finish your supply list with the Afton Travel Props – texture change suitcase stack, two barrel models, and a shipping crate with two branding options plus plain wood for the kind of clutter you’d expect from a river adventurer! 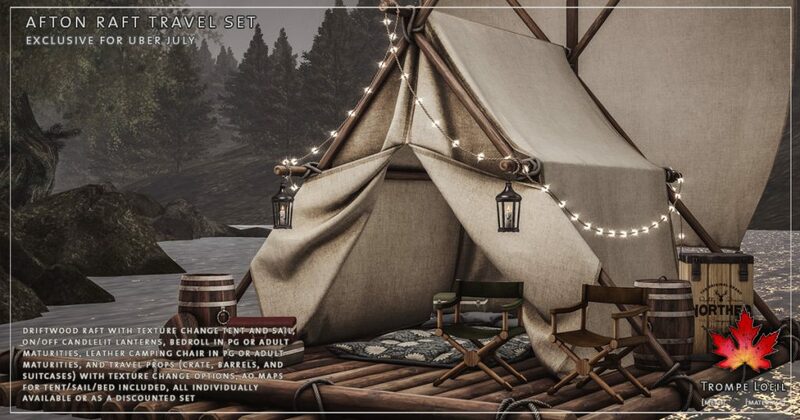 Pick up your favorite pieces or get the Travel Sets and save – plus every piece is 50% off regular pricing August 27-28 only at the Trompe Loeil Mainstore!